On Wednesday, City Council committee assignments were given out and Councilman Mark Treyger, who represents Coney Island, Gravesend and Bensonhurst, was selected as Chairman of the new Committee on Resiliency and Recovery. In December, the newly elected councilman, together with Councilman Carlos Menchaca, whose neighborhood of Red Hook was also devastated by the storm, called for the creation of a committee dedicated to the oversight of Sandy recovery efforts. Treyger was also selected to be a member of five other committees whose issues are crucial to Coney Island: Land Use, Parks & Recreation, Education, Aging, and Plannings, Dispositions and Concessions. Last June, the City released “A Stronger, More Resilient New York,” a comprehensive plan for rebuilding the communities impacted by Sandy and increasing the resilience of infrastructure and buildings citywide. 5 Legged Puppy Saved! 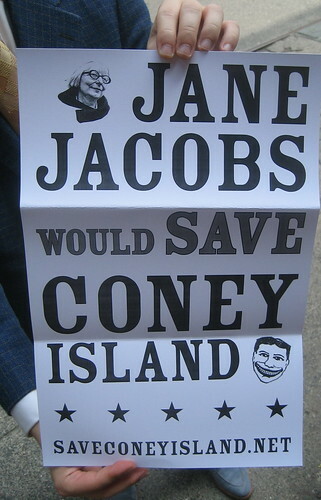 Last Chance to Save Coney Island! I’m happy to report the adorable-looking, headline-grabbing 5- legged puppy was “saved” from being sold to a Coney Island freak show. 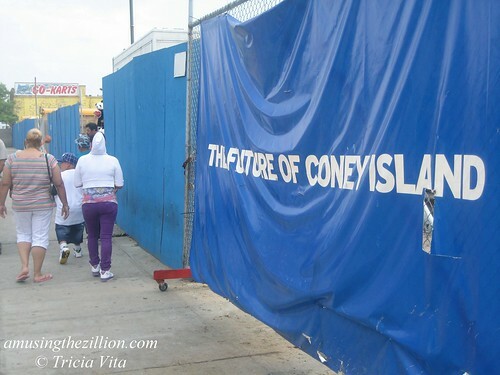 Now can we please grab your attention for a minute to Save Coney Island? The grassroots group Save Coney Island has called a rally on Sunday, July 26, at 1 p.m. in Columbus Park by the steps of Brooklyn Borough Hall. With the City Council set to vote on the plan this coming Wednesday, this rally is the public’s last chance to make its voice heard. We are calling for more acres to be devoted to outdoor amusements, for the removal of the four high-rise hotel towers proposed for the south side of Surf Avenue, and for the preservation of Coney Island’s historic buildings. We share the hope and expectation expressed at the land use committee hearing by Council members Recchia, Katz, and others that the City will address our concerns through negotiations before the full Council vote. If you live in NYC please phone AND email your City Council member, Speaker Christine Quinn and Mayor Bloomberg. Remember, they are running for re-election in November and want your vote. Do they want to go down in history as the city officials who KILLED CONEY ISLAND? Of course not! To find your City Council member, type your address on the City’s Council’s info page. 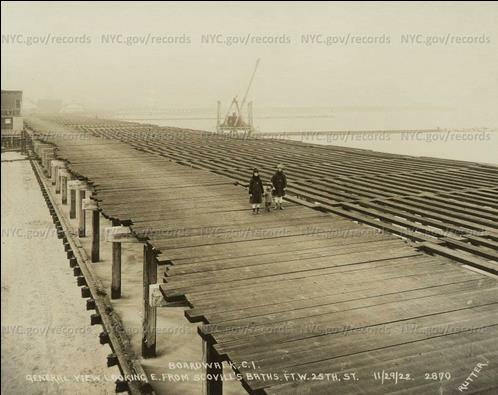 Visit Save Coney Island’s website for more info. As for the 5- legged puppy story, I was dismayed to see the LA Times story “Coney Island freak show owner vows to fight for ownership of 5 legged puppy” knock the HuffPost editorial “How Mayor Bloomberg is Killing Coney Island” from the #1 slot in a Google search of “Coney Island.” The puppy was a featured attraction in yesterday’s NY Times, NY Post, NY Daily News and amNew York, as well as papers as far away as Ethiopia and New Zealand. I’m pretty sure Coney Island sideshow operator John Strong’s threat to sue the puppy’s owner and reattach the dog’s amputated fifth leg is a publicity stunt. I kinda liked his earlier, more philosophical comment “Sometimes, you just gotta say: ‘OK, I still have nine live, two-headed animals,’ and move on.” Yes, let’s move on to Save Coney Island. It may be our last chance. Translation: Lawyers for Joe Sitt and the City’s Economic Development Corporation are wheeling and dealing behind closed doors. The deal is that Sitt would sell at least half of his Coney property to the City and keep the rest to develop or flip. With most favorable zoning of course! Thanks to graphic artist Tiny Tim for sending us the photo collage of Joey demolishing Coney Island’s go-karts, batting cages, bumper boats, and mini golf. 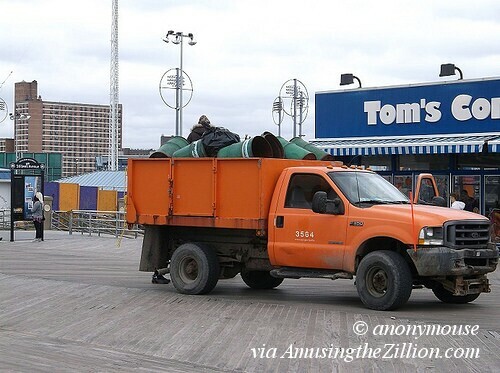 Creating empty lots in Coney is this CEO’s favorite outdoor activity. The Astrotower is still standing because Sitt said he “fell in love” with it and wants to keep it. Hey, we love the Astrotower too. 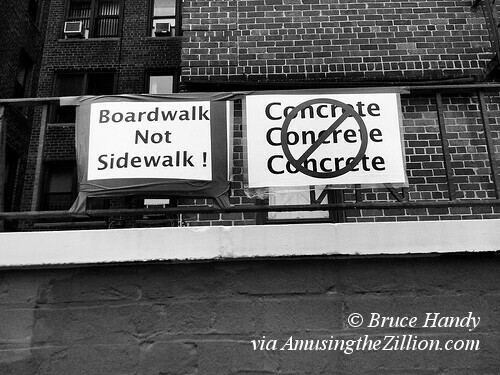 We also believe Coney Island is the People’s Sandbox, not Joe Sitt’s. Give it back to us, you bully. 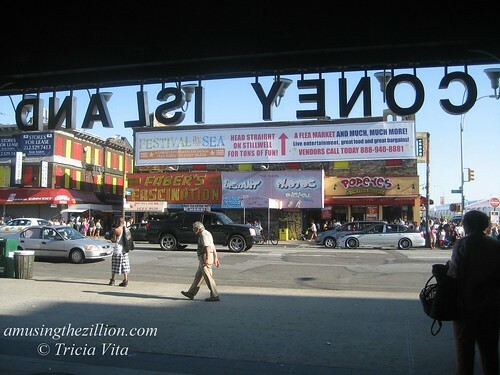 Upcoming City Council Vote on Coney Island: Of, By and For the People’s Playground? 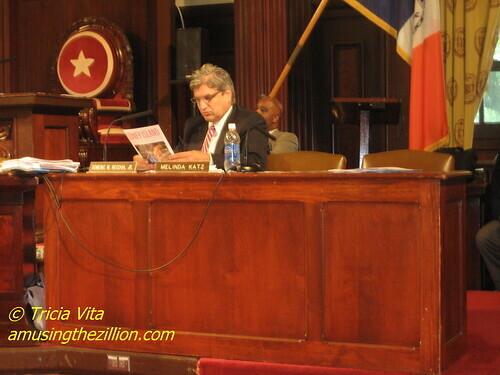 At the July 1 City Council hearing on the City’s rezoning plan, Coney Island’s Councilman Domenic Recchia took a moment to study Save Coney Island’s pitch. The brochure, which you can download here, urges people to contact their elected officials and ask them to fix the plan. 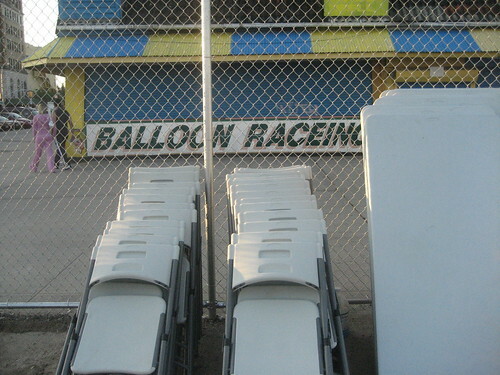 Save Coney Island recommends expanding the area for open-air amusements, moving the high rises from the south side of Surf Avenue, landmarking Coney’s historic buildings, and protecting small businesses. Will these proposals make it into the revised plan that a City Council subcommittee votes on next week prior to a full Council vote on July 29? No one from Save Coney can say with certainty. Although the group’s reps met with sympathetic council members, they’ve been unable to get face time with Speaker Christine Quinn or Land Use Chair Melinda Katz. No matter how the zoning goes, if anyone is under the misimpression that Joe Sitt will ever build anything here, just Google “Albee Square Mall” and “Thor Equities” and read about how he flipped the property and made $100 million after getting favorable zoning from the City. 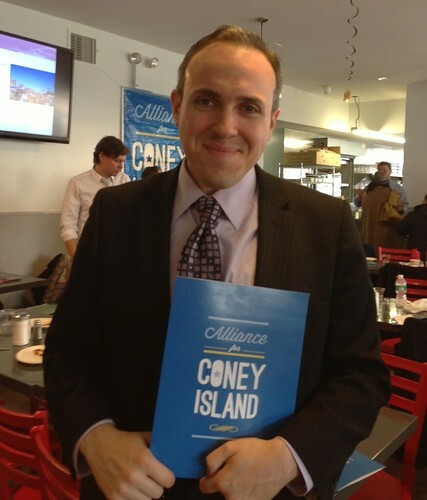 Just imagine how many millions Joe Sitt expects to make from selling the rezoned Coney Island! The City Council hearing on the Coney Island rezoning plan was my first time inside City Hall. 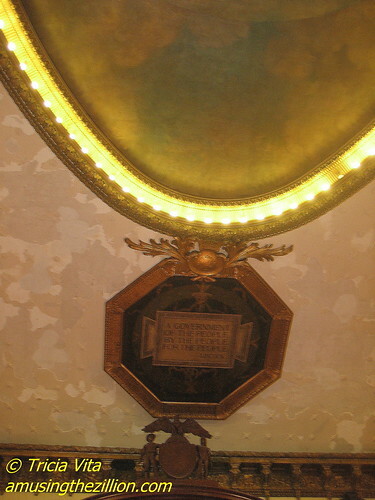 During the eight hour long proceeding— my two-minute slot didn’t come up until seven hours had gone by— I had plenty of time to contemplate a ceiling medallion that says: “A Government Of the People, By the People, For the People—Lincoln.” Apparently I wasn’t the only visitor impressed by this tribute to Lincoln’s Gettysburg Address. Someone mentioned it in his testimony. 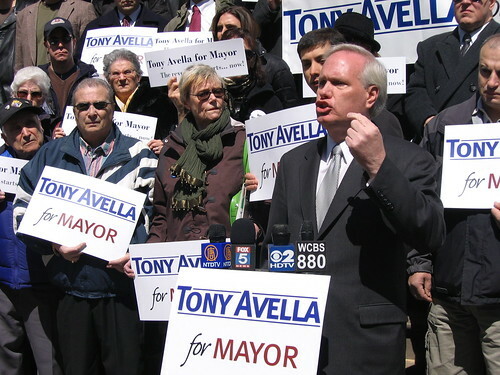 Councilman Tony Avella, Chair of the Subcommittee on Zoning and Franchises replied, “I hate to tell you how many times we don’t do that, but hopefully we can do it in this situation.” We hope so too.